This Midsleeper combination incorporates a new rounded Pull Out Desk and features rounded headboards and a Bookcase. Why not add a pair of sleek lined push-to-open large white doors to your order. 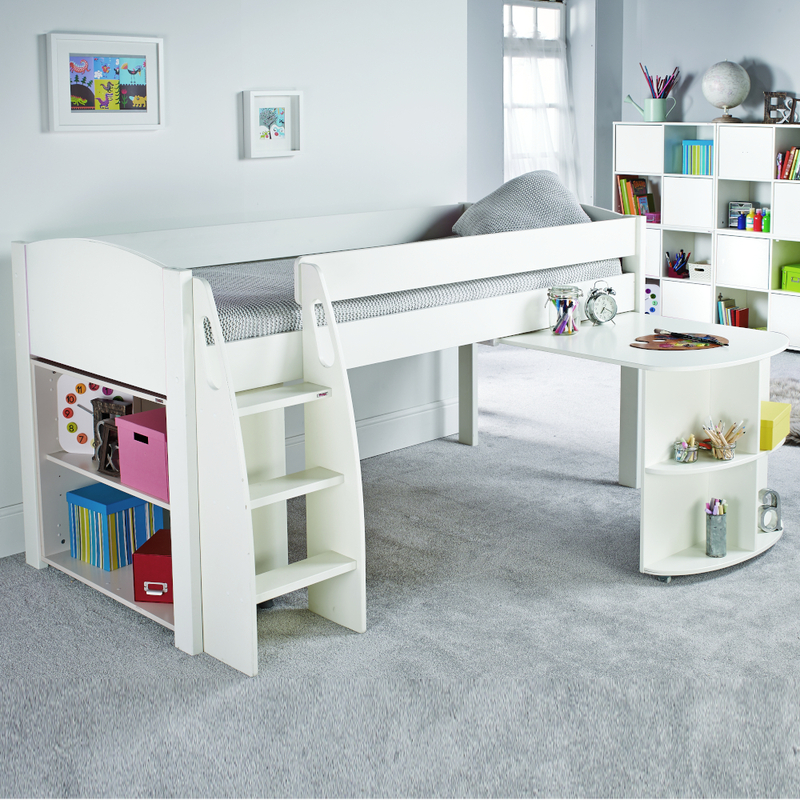 Includes Uno S Midsleeper with Pull Out Desk and open Bookcase. 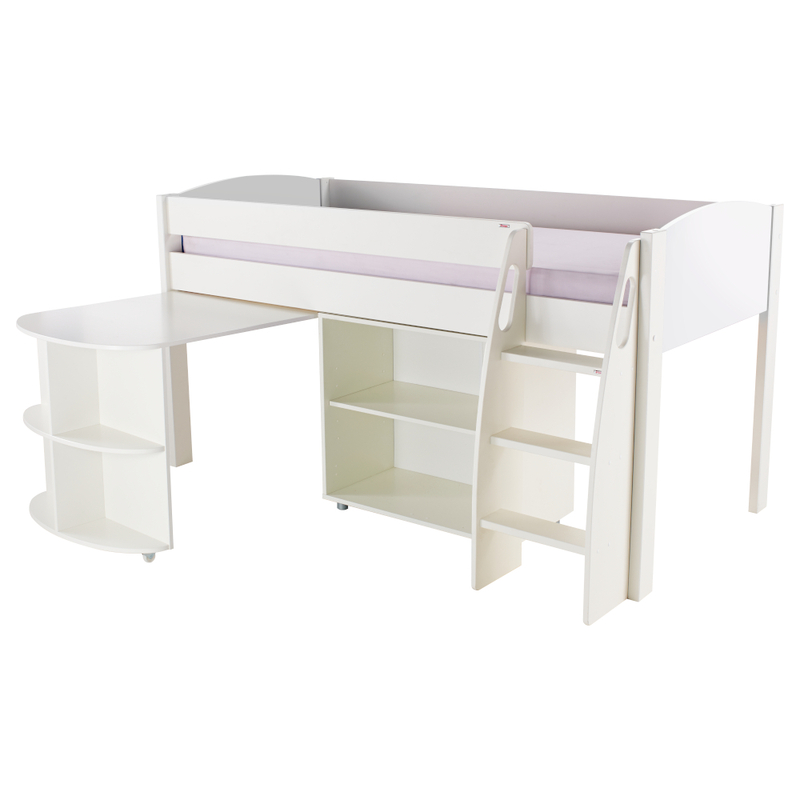 The Bookcase can be positioned either in the end of the bed or next to the Pull Out Desk. Large white doors sold separately. White lacquered finish with white lacquered rounded headboards.